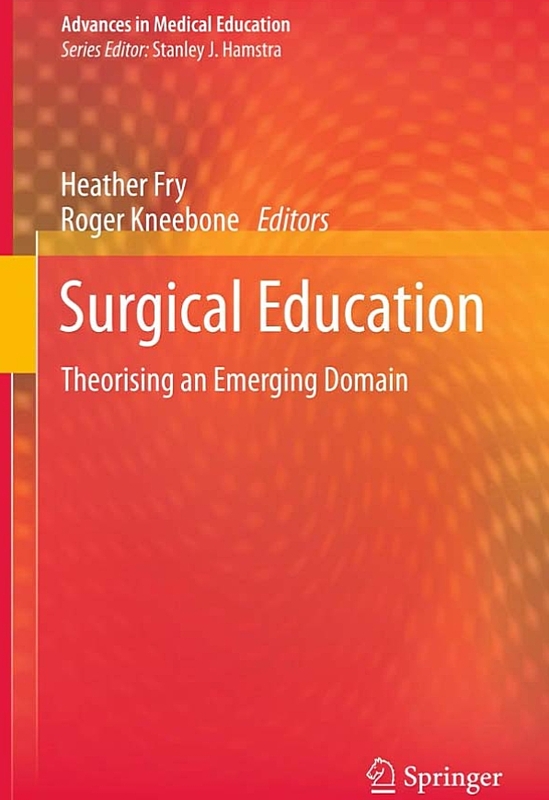 Surgical Education: Theorising an Emerging Domain delineates surgical (as opposed to medical) education as a new and emerging field of academic enquiry. This reflects profound changes in healthcare training and practice on an international basis. 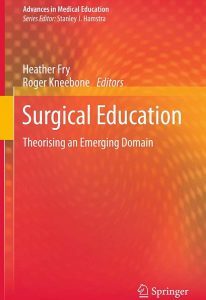 As such, this book introduces, examines and explores the contribution of selected concepts and theories to surgical learning and practice. The first four chapters consider core facets of surgical education, such as simulation, while subsequent chapters take a key idea, often well known in another field, and examine its relevance to surgical education. Of course, performing invasive procedures is no longer the exclusive preserve of ‘traditional’ surgeons. Boundaries between surgery and the interventional specialties (radiology, cardiology, intensive care) are becoming increasingly blurred, especially as technology continues to expand. Changing work patterns and explosive technological development mark this out as a major growth area. New educational approaches (e.g. the use of simulation) are emerging. 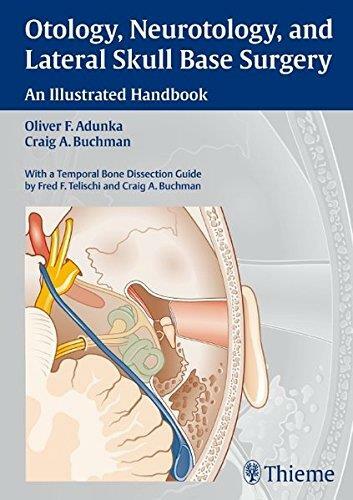 Otology, Neurotology, and Lateral Skull Base Surgery: An Illustrated Handbook combines the most relevant information on this complex subspecialty into a comprehensive, yet highly accessible resource.Chapters feature succinct explanatory text combined with clear, carefully formulated color plates to help readers quickly grasp the complex nature of the underlying basic principles, the various diagnostic tools, as well as disease-specific medical and surgical management. 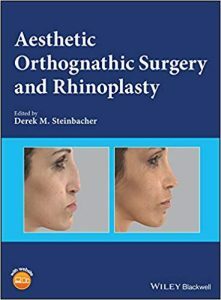 An extensive chapter provides dedicated coverage of contemporary surgical techniques for the ear and temporal bone, and of the special considerations relevant for neurotologic disorders. 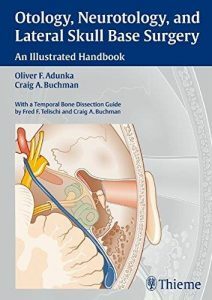 The book closes with a temporal bone dissection guide specifically designed for residents that illustrates the intricate anatomy of the temporal bone using high-quality cadaver images.Features: Offers a straightforward overview of the anatomy, physiology, and pathophysiology of the temporal bone and central auditory and vestibular pathways Reviews the entire subspecialty of otology, neurotology, and lateral skull base surgery and covers both medical and surgical concepts Includes over 830 full-color illustrations arranged on 158 color plates Provides a comprehensive dissection guide for use in the temporal bone labThis handbook is the ideal study tool and easy-to-use reference for otolaryngology residents, fellows in subspecialty training, and practicing otolaryngologists during clinical routine. For many complaints and conditions, the benefits from surgery are lower, and the risks higher, than you or your surgeon think. In this book you will see how commonly performed operations can be found to be useless or even harmful when properly evaluated. That these claims come from an experienced, practicing orthopedic surgeon who performs many of these operations himself, makes the unsettling argument particularly compelling. Of course no surgeon is recommending invasive surgery in bad faith, but Ian Harris argues that the evidence for the success for many common operations, including knee arthroscopies, back fusion or cardiac stenting, become current accepted practice without full examination of the evidence. 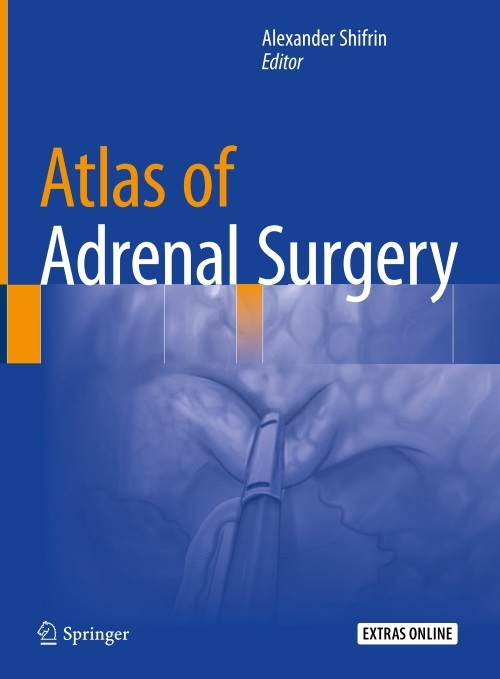 This atlas is designed to present a comprehensive and state-of the-art approach to single surgical procedure – adrenal glands surgery. 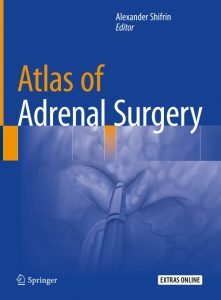 The idea of this surgical atlas is to bring expertise of adrenal surgery to all surgeons performing, or learning how to perform successful adrenalectomy procedure, and to illustrate different techniques of adrenalectomy that are performed by different renown surgeons. The atlas illustrates several different approaches to adrenalectomy, which include more commonly used anterior lateral adrenalectomy and more advanced newer techniques of posterior retroperitoneoscopic and robotic adrenalectomies. This atlas emphasizes different approaches and ways to perform the same procedure. 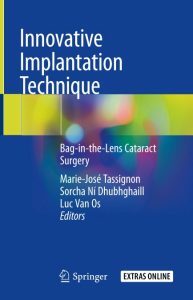 Specifically how the same procedure could be successfully completed by different surgeons with specific details of each technique. Each approach is presented by three different expert-surgeons illustrating three different techniques of procedure, including single-site approach. Different surgeons have different “tricks” on how to perform this type of procedure successfully. 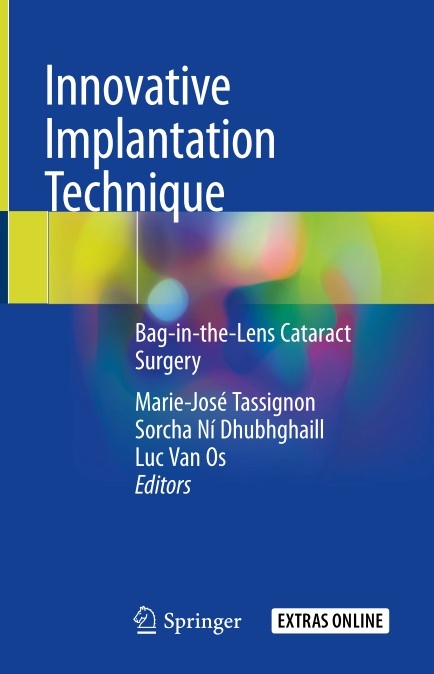 Each chapter presents procedures that are performed and illustrated by a different single surgeon. All authors are members of American Association of Endocrine Surgeons (AAES) and are experts in this specific technique. 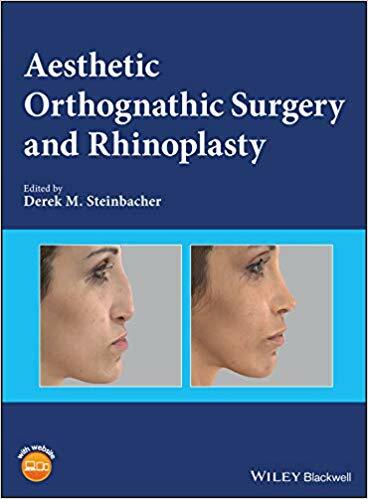 This atlas includes 18 chapters and illustrates traditional open approach, anterior lateral right and left adrenalectomy approaches, and more advanced state-of the-art posterior retroperitoneoscopic right and left adrenalectomies (including single port procedure) and robotic adrenalectomies. The text includes extensive illustrations and links to video of all procedures making this an interactive text. 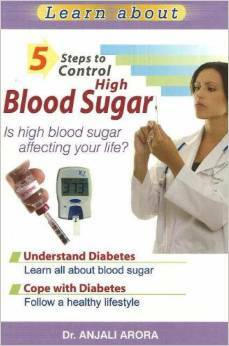 5 Steps to Control High Blood Sugar: Is High Blood Sugar Affecting Your Life? Surgery Comments Off on 5 Steps to Control High Blood Sugar: Is High Blood Sugar Affecting Your Life? Diabetes is a chronic disease, which can be managed but not cured.About half of the population do not know they are diabetic.A fastpaced stressful lifestyle,improper nutrition and inadequate exercise results in the development of diabetes early in life. A handy introduction to diabetes, this book discusses the problems associated with the diseases and how to prevent it from affecting your lifestyle. The enthusiastic feedback received from readers of the international best-seller “Schein’s Common Sense Emergency Abdominal Surgery” inspired the editors to do a similar book dedicated to surgical complications: practical, non-formal, internationally relevant (in all types of practice and levels of hospitals) – and definitely not politically correct: what is considered taboo by others is not taboo for us; here we discuss everything! As in the editors previous book, the use of references is restricted to the absolute minimum, and citing figures and percentages is avoided as much as possible. 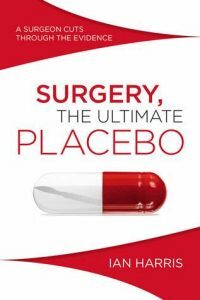 The chapters in this book are the opinion of experts – each contributor has a vast personal knowledge and clinical experience in the field he is writing about. 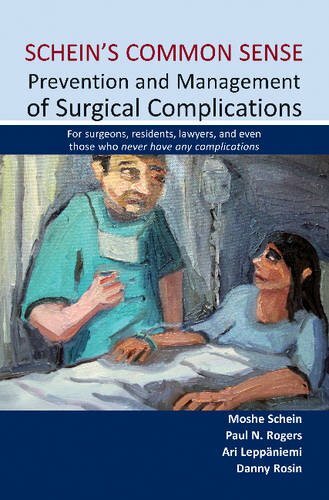 This book will help all surgeons (and their patients), avoid the misery of complications, and will provide advice on the management of those that are unavoidable. Complications and death are an integral component of surgery. Surgeons have to look death in the eyes, try to prevent it and vanquish it – this is what this book is all about. This book serves as an anatomic atlas of the nerves that innervate the joints of the human body in a format that also provides technical insight into pathways that both interventional pain management and surgical subspecialists can use to denervate those painful joints when traditional approaches to manage the pain are no longer successful. 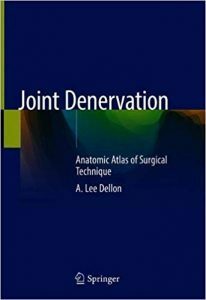 This book avails the knowledge of how denervation can relieve joint pain available to the many groups of physicians who care for this problem. Each chapter is devoted to a joint and reviews the neural anatomy as it relates to the clinical examination of the patient. Chapters are user friendly and provide details on the indicated nerve blocks and the clinical results of partial joint denervation. 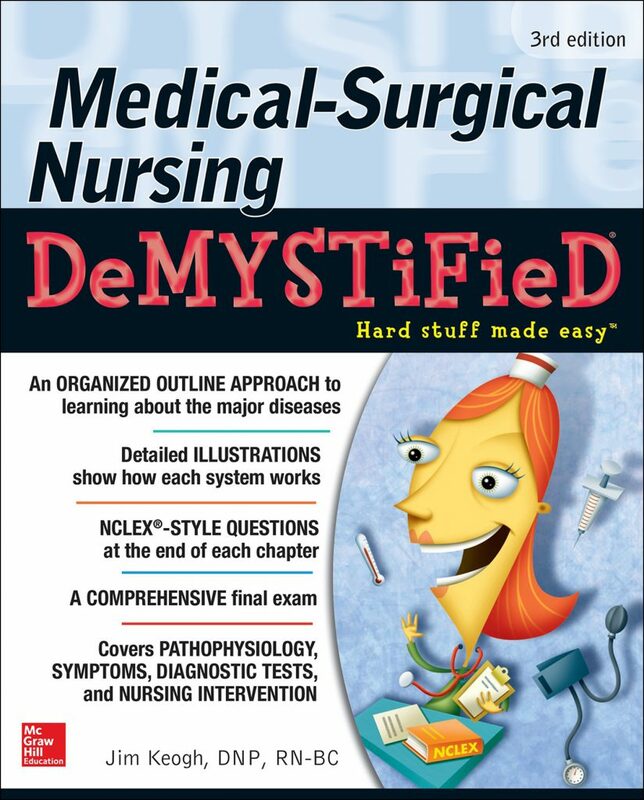 Clinical case studies also serve as a helpful guide in each chapter. Extensive intra-operative clinical photographs and photographs from new prosections provide examples to guide those physicians providing care to the patients with joint pain. 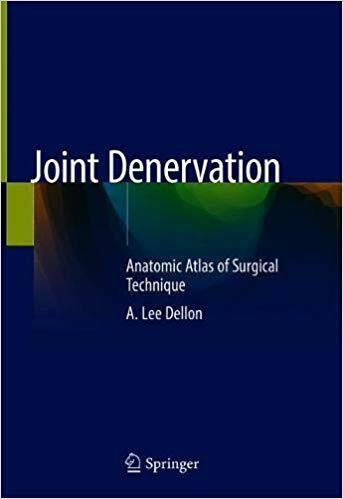 Joint Denervation: Anatomic Atlas of Surgical Technique should be of interest to surgical subspecialists from Neurosurgery, Plastic Surgery, Hand Surgery, Orthopedic Surgery, Podiatric Foot & Ankle Surgery, and Oral & Maxillofacial Surgeons. It may also interest those physicians trained in Anesthesia, Radiology, and Physical & Rehabilitation Medicine for their evaluation and treatment protocols using hydrodissection, cryoablation and pulsed radiofrequency approaches to pain.